we are the supplier of all kinds of marble tiles. 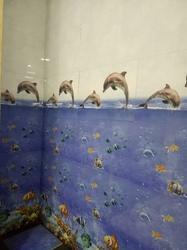 We offer wide range of wall tiles in wholesale. Wall tiles are available in various sizes, shapes, dimensions of 250x250mm, 250x300mm . These wall tiles are manufactured with optimum quality clay that ensures maximum durability of the tiles.